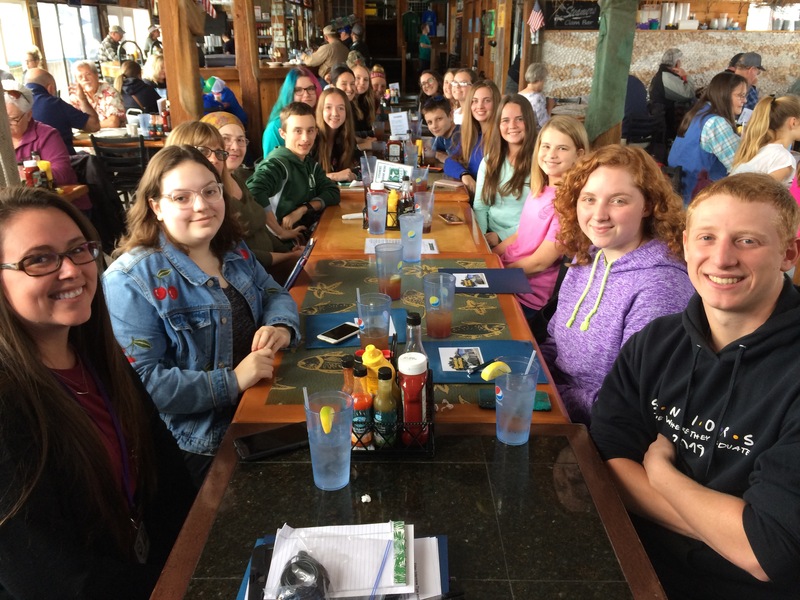 The Rooted in Resilience project launched in March 2019 to engage select middle and high school students in Cedar Key. 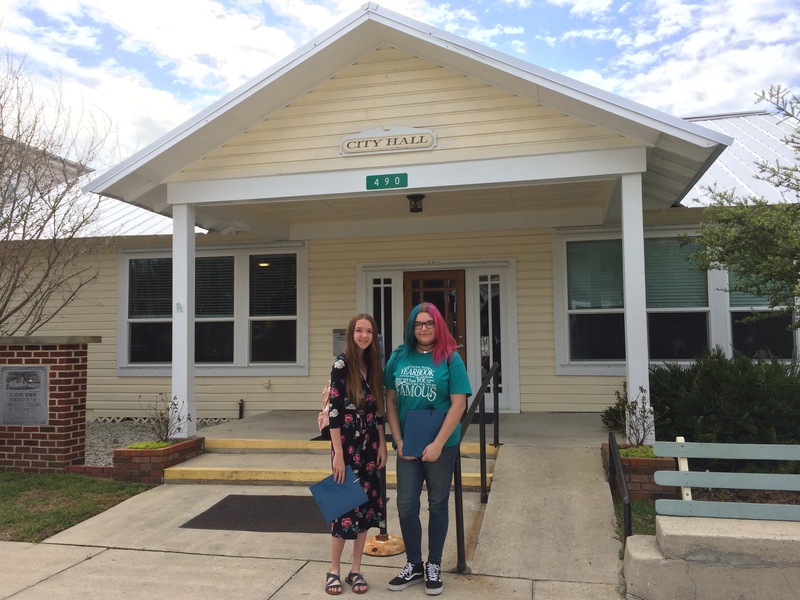 With the assistance of their teachers, community members, and university researchers, the students are profiling six historic buildings in Cedar Key, and they will share what they learn through several short videos and a website. These communications products will include the building owners’ responses to storms in the past, present, and future, and the students’ perspectives about their community. 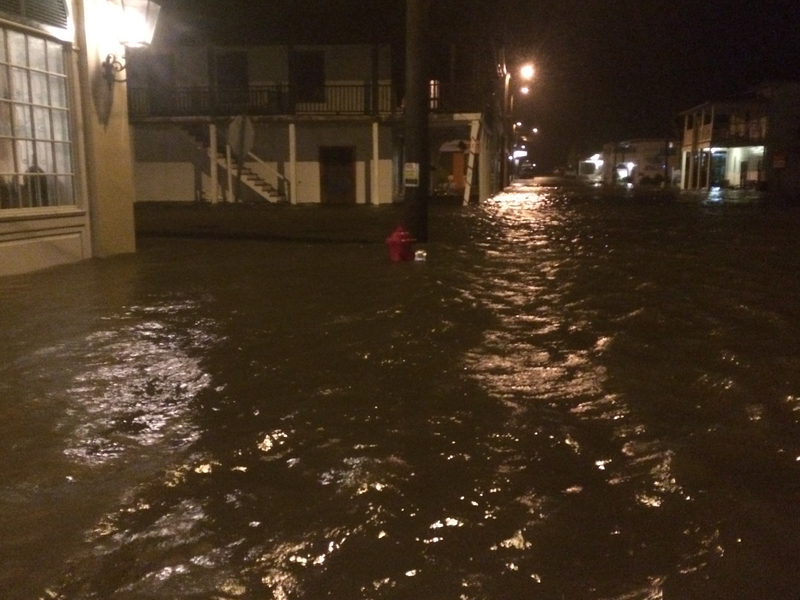 The information may inspire Cedar Key leaders and citizens to continue the tradition of resilience in old and new ways, as well as serve as an exemplar for other communities to follow. 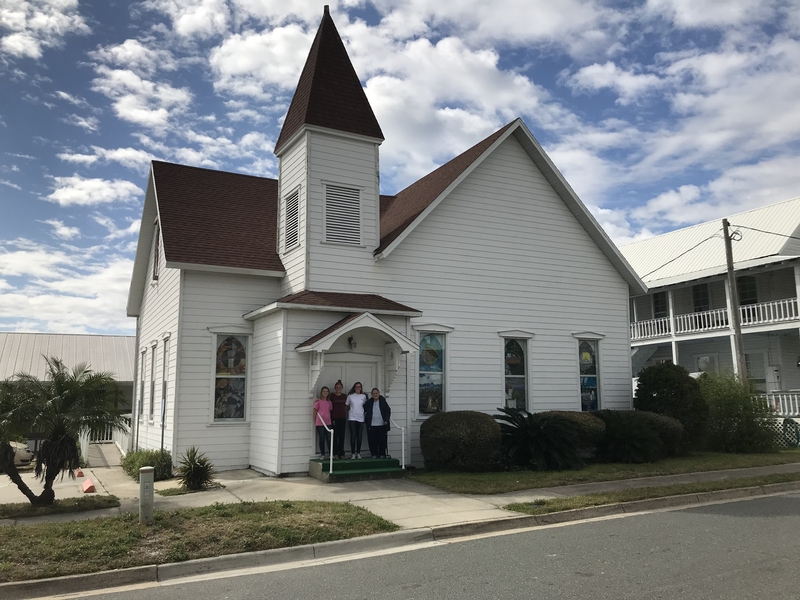 The project is a partnership between the City of Cedar Key, the University of Florida, the Cedar Key Historical Society & Museum, and Cedar Key School, with funding from the Florida Division of Historical Resources. The participating students are in the Junior and Senior Beta Clubs. Rooted in Resilience is part of a one-year project, Digital Flood Vulnerability Assessment, led by Marty Hylton, Director of the UF Historic Preservation and Envision Heritage programs. 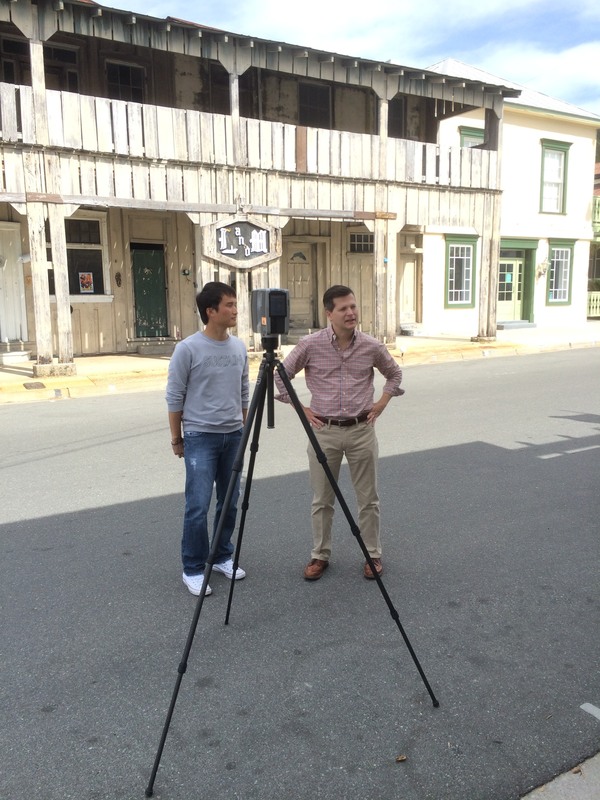 The larger project is collecting 3-D digital data (via laser scanning) and updating descriptive information about buildings in Cedar Key’s historic district. The project is also engaging the public around topics of historic preservation, natural hazards, projected sea level changes, and adaptation strategies for building and community resilience. The students’ videos and website will be shown at the larger project’s final public presentation in Cedar Key (Tuesday May 14 at 5:30pm, Cedar Key Library), as well as ongoing city, school, and museum promotions. 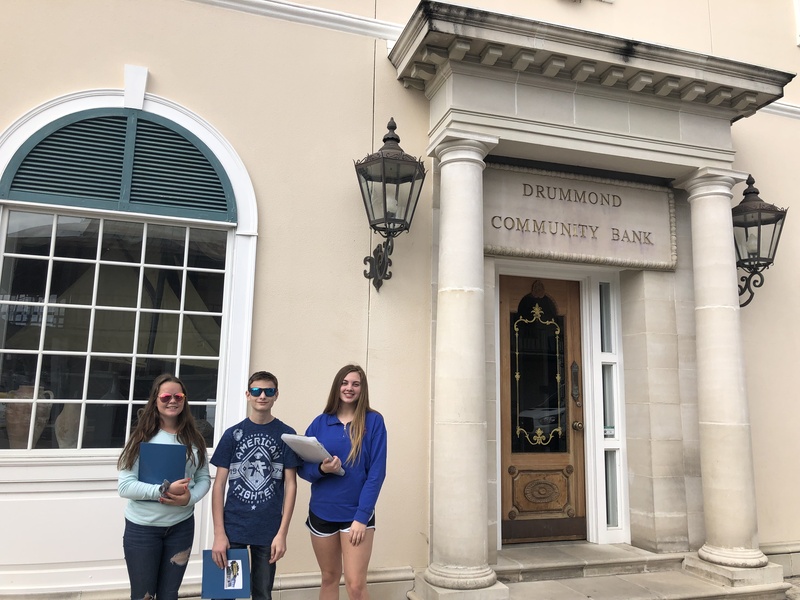 Through the project, the students are learning advanced subjects, such as historic preservation, natural hazards, and community planning, and skills, including community-based research, video and website direction, mapping technology, and teamwork. The students will be able to add the videos and website to their educational portfolios, and the voluntary project also counts as community service. 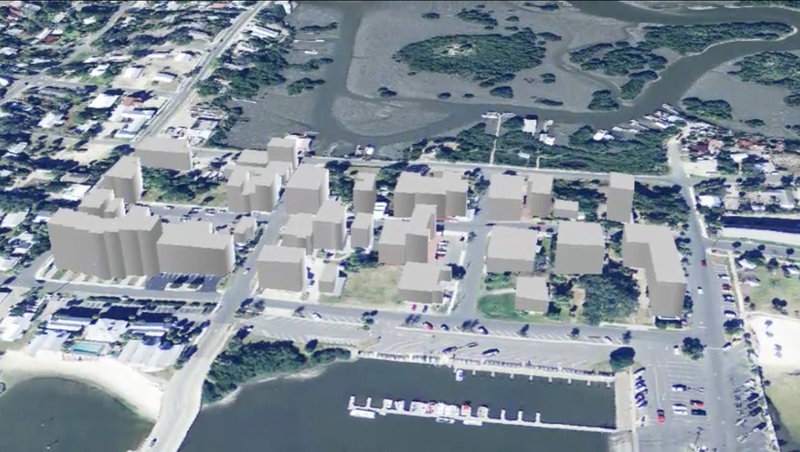 The GIS technique created a virtual 3-D model of all of Cedar Key using a digital elevation model (for topography), satellite imagery, and the extrusion of building footprints to create three dimensional buildings, as shown below. 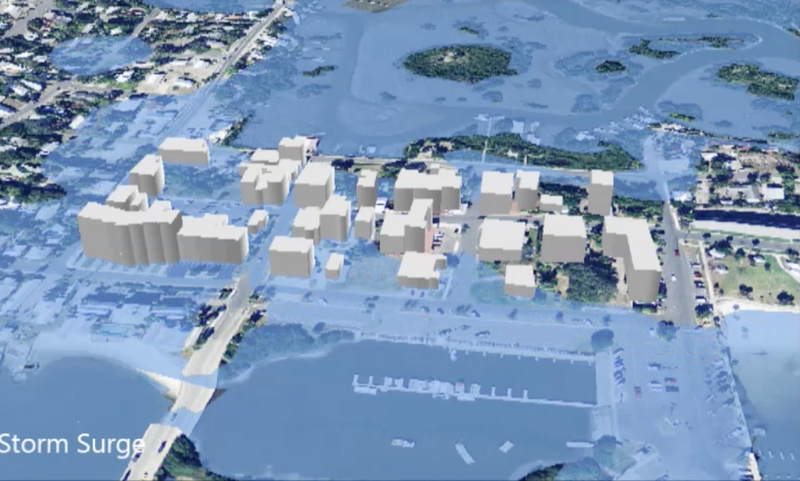 Then, possible flooding scenarios from hurricanes and future sea level rise determined in a previous project were visualized by adding a transparent blue layer at a various elevations. The next photo shows one example, which represents a storm surge flooding scenario that could occur during a moderate hurricane. 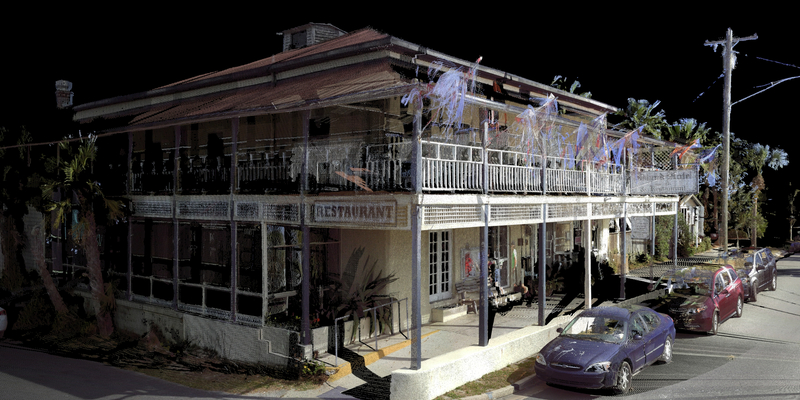 The laser scanning technique gathered new digital data in the field to create a high resolution 3-D virtual model of the buildings, yards, and streets along a three-block section of downtown Cedar Key. The resulting digital model created a virtual reality accurate to a few millimeters. The researcher could virtually view the data from difference perspectives and add features, such as transparent blue flood waters. The last technique for visualizing flooding the team piloted was a physical model created from the laser scanning data. The laser scanning produced very accurate elevation readings, which then digitally guided a router at UF’s Fab Lab to carve a large wooden board to model the streetscape. The research team also used the laser scanning data to determine building dimensions and locations, and then made the buildings out of plexiglass and glued them to the board. The model was placed in a large tank borrowed, and fitted with a hose and stand, from the UF/IFAS Cedar Key Field Office. The team filled the tank with water to simulate the flood scenarios, from the lowest up to the highest levels ever seen (over 20 feet). 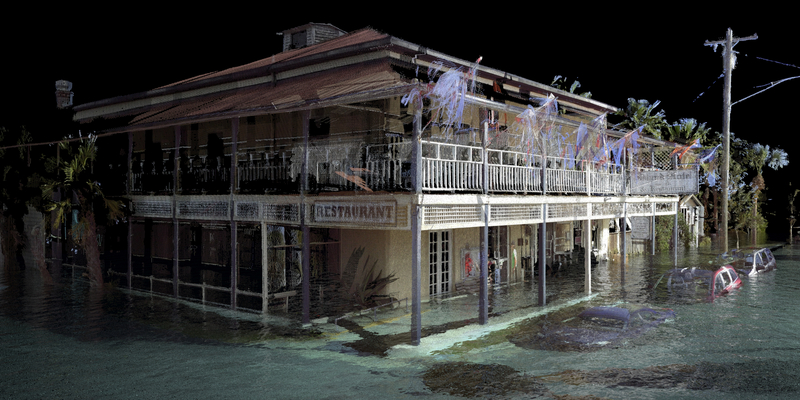 The virtual 3D GIS and laser scanning results were combined and animated in a video, which is has been on display at the Cedar Key Chamber office downtown. Several months after creating the visualizations, physical model, and video, Hurricane Hermine struck Cedar Key, in August 2016. The pattern of storm surge during Hermine was similar to that modeled. The results of a new project will be presented to the public on May 31, 2018, at Cedar Key Hurricane Prep Day. The project website and print version are now available; and the project brief and posters from the event. Pass along knowledge to persons newly assisting with hurricane preparedness, response, and recovery in Cedar Key and Rosewood. Share with other communities the practices of small town and rural hurricane preparedness, response, and recovery. This project is a special volunteer initiative between the University of Florida and the City of Cedar Key, with assistance from the Cedar Key Water and Sewer District, Levy County, and regional government agencies. The project originated from conversations between a Cedar Key official, graduate students in the UF Student Planning Association, and Prof. Frank during the cleanup following Hurricane Hermine in 2016. April 2 to May 6, 2016, in Cedar Key. A month of events focused on the deep connections between Cedar Key and water, both fresh and salt. Hosted by Cedar Key News and the City of Cedar Key, with funding provided by the Florida Humanities Council. Speaker topics include water for people, water for natural resources, water for industry, and the power of water. The capstone address by Cynthia Barnett presents Cedar Key as a model for a 21st century water ethic. The series features a three-dimensional physical model of Cedar Key showing various flooding scenarios, including storm surge and long-term sea level rise. The model is designed and built by faculty and students in the College of Design, Construction and Planning, University of Florida. 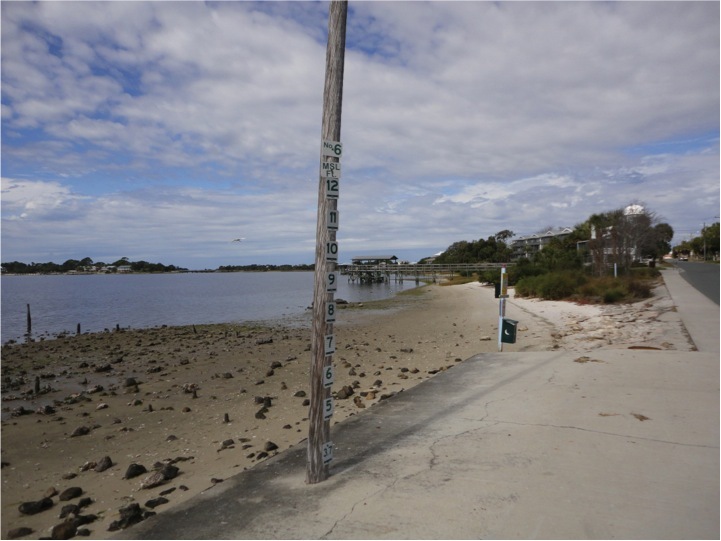 Florida Sea Grant funded a second sea level planning project, Reimagining the Form of Rural Coastal Communities in Response to Sea Level Rise, that extends the work of the team’s project, Planning for Coastal Change in Levy County. 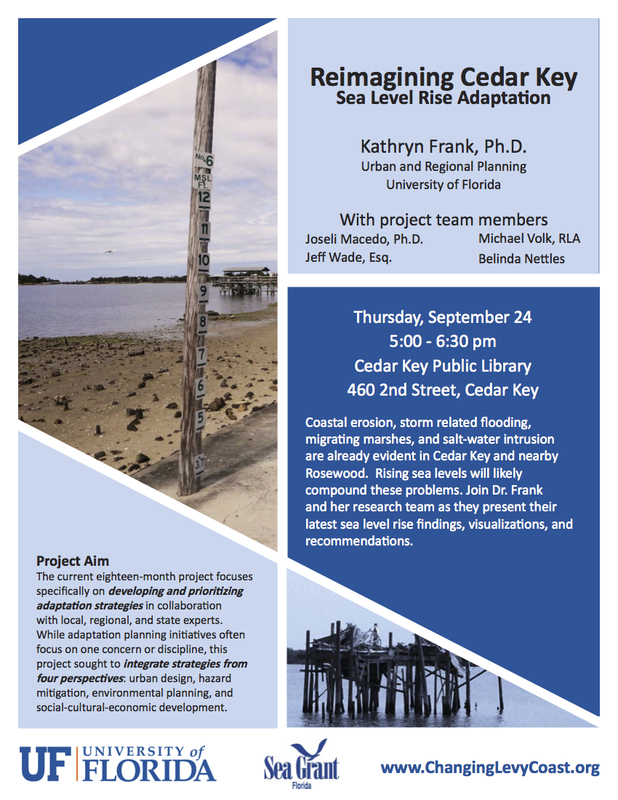 This new project began in May, 2014 and has been working collaboratively with local and regional experts to develop, integrate, and prioritize sea level rise adaptation strategies for the Cedar Key-Rosewood area. During the first portion of the project, team members analyzed the area’s vulnerability and developed potential adaptation strategies from four specific viewpoints: Urban Design, Coastal Hazards, Natural Resources, and Socio-economic. While developing these strategies, team members met with local and regional experts at the Senator George G. Kirkpatrick Marine Laboratory in Cedar Key to present findings and receive feedback about the stakeholders’ preferences and guidance on future research directions. The second portion of the project focuses on integrating the strategies proposed from the four different viewpoints, choosing a priority strategy for further exploration, and developing the steps needed for its implementation. After discussing various strategy options with local experts, the team is now focusing on developing specific policies that would provide the opportunity for innovative sea level rise adaptation to occur. The team will be meeting again with local experts in July and August to receive feedback on the policies, and a public presentation will be held in August to share the project’s findings and outcomes with the community. The project runs through September, 2015, and we will be posting information about the August public meeting, project updates, and the project’s final report during the next few months. Cedar Key offers a charming and eclectic character like no other. 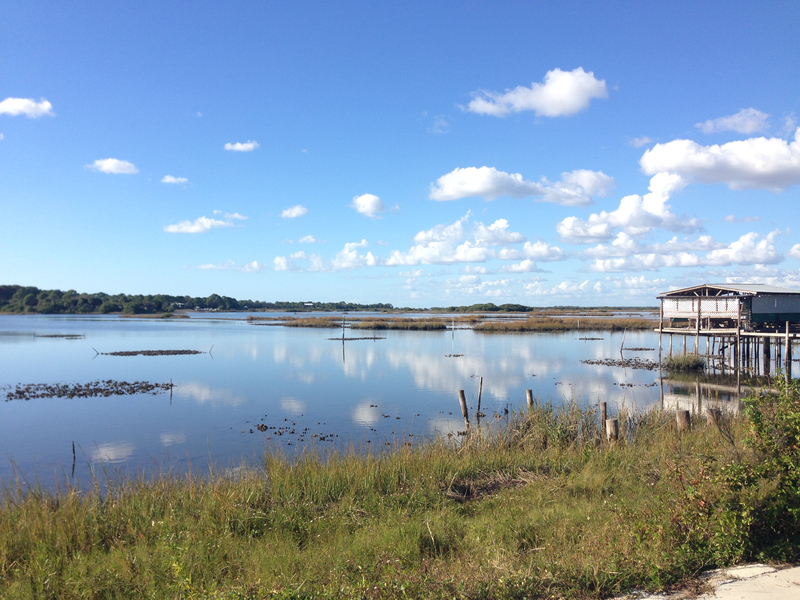 As the community experiences coastal change, including from sea level rise, it is vital that the qualities that make Cedar Key the place it is are not lost and that the ways of life of the people are maintained. Adaptive planning should be carried out in a way that is sensitive to a community’s lifestyle and valued qualities. 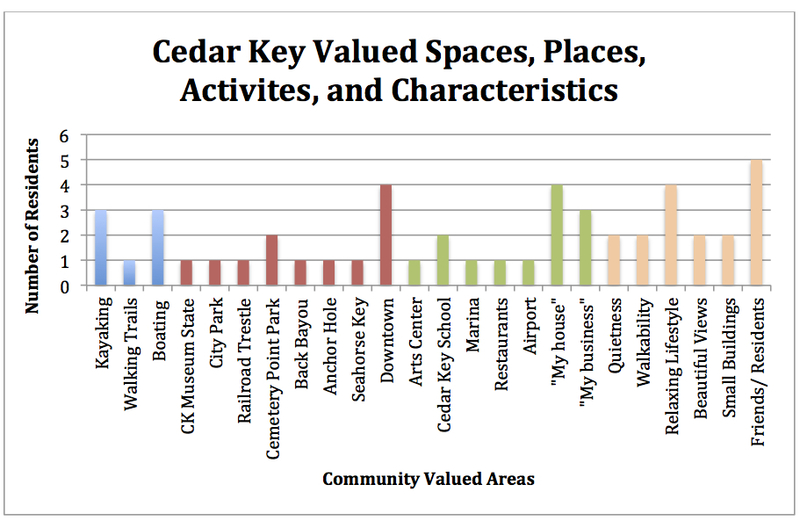 Claudia Visconti, a recent graduate from the University of Florida’s Master of Landscape Architecture program, worked with residents of Cedar Key to determine what they valued most about their community and how these factors could be maintained or evolved in the face of sea level rise. Claudia’s thesis consisted of onsite analysis and participatory processes that allowed her to gain an understanding of many aspects of the vernacular landscape of Cedar Key. Vernacular landscape is defined as “a cultural landscape that evolved through use by the people whose activities or occupancy shaped that landscape” (The Cultural Landscape Foundation). 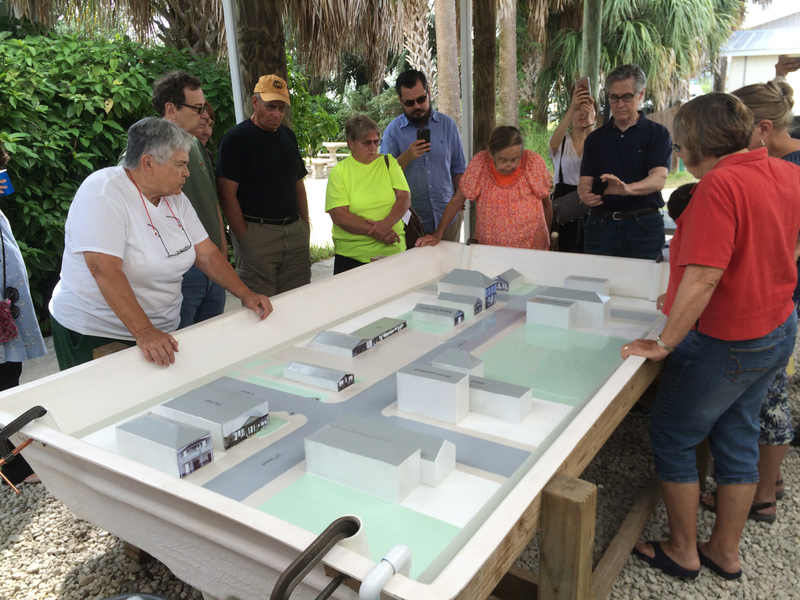 A three feet (one meter) sea level rise “bathtub model,” based on elevation, was used to project inundation of Cedar Key and a study area expanding five miles outside of the community. Existing physical site conditions and the sea level rise projection model allowed opportunities for relocation to be identified. Claudia engaged in a “grass roots”-type effort to show the community how these relocation opportunities can maintain or assist in the evolution of their valued spaces, places, activities, and characteristics. From these findings and her developed methodology, Claudia explains the transferability of her research to subsequent communities interested in adaptive planning that is sensitive to the vernacular landscape of a community. Claudia’s research can be used to begin the discussion of how adaptive planning can work to maintain or assist in the evolution of the ways of life of the people and their community. For more information on this topic, Claudia’s thesis document is available here: TerminalProject_ViscontiC.